To help we've put together a few tips to get you started in planning your family holiday trip and some places to try out. The big R can never be estimated when planning your trip to another African country. I good source of information is Trip Advisor. It’s packed with comments by travelers of their experiences which can always be a good source of information. Calling the information desk of your nation’s consulate is always a good idea to get further information about the country as well. Culture plays such a big role in many African countries. Children always love to learn new things and educating them on the cultural norms of the country you intend to visit can be enjoyable. It will also help them to become more open to exploring different environments. Sampling the yummy treats of another African country can be an adventure it itself with the family. There are countries like Togo and Ghana where you can get lost in their culinary delights for days! Africa is blessed to have many geographical landscapes and natural land marks that makes it one of the most picturesque places in the world. From Mount Kilimanjaro to the pearly beaches of Benin looking out to the Atlantic Ocean, you’ll never be short of a picture moment. With so many new holiday resorts springing up across Africa these days you are bound to find something for you and the kids. Whether it is getting your feet wet while staring at the sun in the Mauritius or getting in tune with nature on a Safari trip in Kenya. Nestled between Nigeria and Togo, Benin is rich in culture and heritage. The Port of Novo is the capital city with many examples of colonial and pre colonial art & architecture scattered around the city. Consider paying a trip to the city of Ouidah, the home of voodoo religion. While visiting Ouidah, enter the temple of pythons and take a picture with one of the sacred pythons. For a scenic getaway with the kids head on over to Le Casa Del Papa Resort . 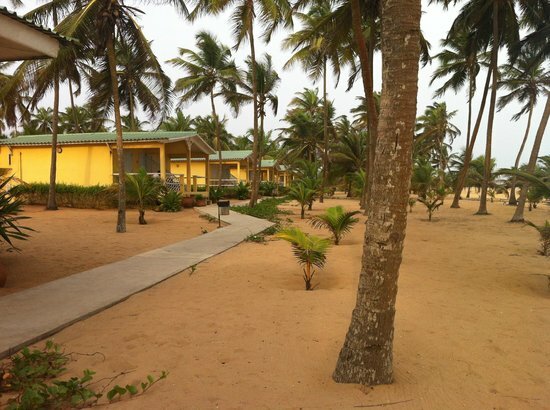 It's serene bungalows and palm trees have a perfect view of the Atlantic. 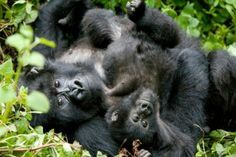 Rwanda is another great destination spot with lots to enjoy with the family. Try out the Kigali Serena Hotel which is located in the heart of one of Kigali's most charming boulevard. This five star hotel offers family safaris such as gorilla treks in Nyangne, grassland safaris in Akgera. A personal favourite of mine. Togo is a quaint peaceful country blossoming with natural beauty. From the Cascades de Wome to the palm fringed beaches of Anohe along the Atlantic coastline. Lome the capital city is sleepy yet elegant, with its large avenues, tasty restaurants and Grand Marche displaying the many colours & multicultural DNA of the city. Ethiopia is home to Africa’s oldest kingdom and the birthplace of coffee. Take an archaeological journey to North Ethiopia and discover the city of Axum to visit the oldest church in the world which is believed to hold the Arc of the Covenant. Don’t forget to head down south to get your feet wet at the lake resorts in Laguna while sipping on some freshly made Arabica coffee. Gambia offer some of the best beach holidays in West Africa. 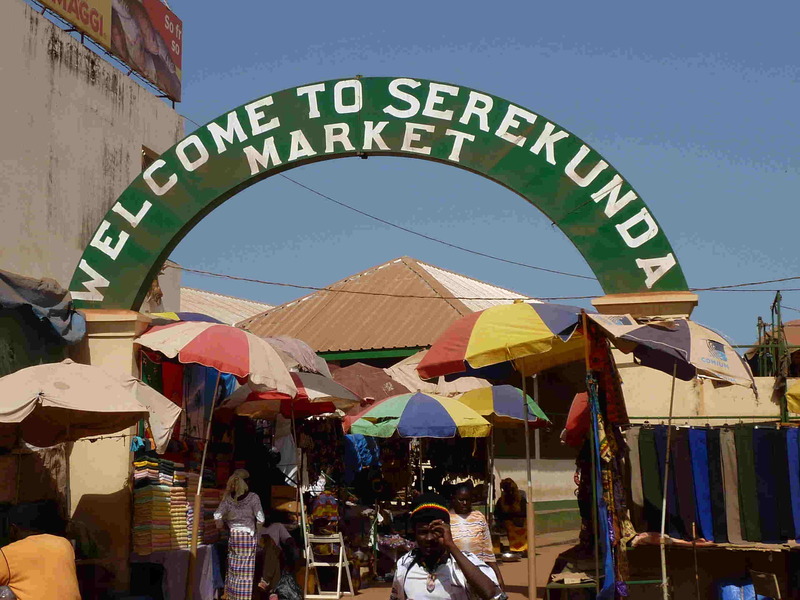 Spoil yourself with its various resorts such as Ocean Bay and Coco Ocean that provide stunning views of the Atlantic or spend some time at the market in Serrekunda, Gambia's largest town. Filled with breath taking waterways, including 17 astonishing waterfalls. It is also home to Africa’s largest waterfall Victoria Falls ( or Mosi-oa-Tunya “the smoke that thunders”). If you and the kids love a dose of adrenaline adventures and love hiking then you have to give it a shot. Kenya is one of the most visited African countries for family holidays. Boasting a long record of providing safe family safaris.as well as beach holidays on the countries stunning coastline and Indian ocean islands. And least we forget - it is the home of one of the greatest wildlife spectacles in the world - the Masai Mara Wildebeest Migration . Often referred as the 'Giant of Africa', Nigeria offers a variety of tourist attractions for families. Head on over to the Obudu Mountain situated in Cross Rivers. Its situated on plateau at 1575 meters above sea level. The climate and temperature offers a break from the usual tropical weather. While there take a tour to soak in the scenic mountains and the bird life. A much talked about treat is the cable car that takes guest up to the mountain. At 4 KM the cable car transfers guest from the tropical climate at the base of the mountain right to the top to the resort's reception.